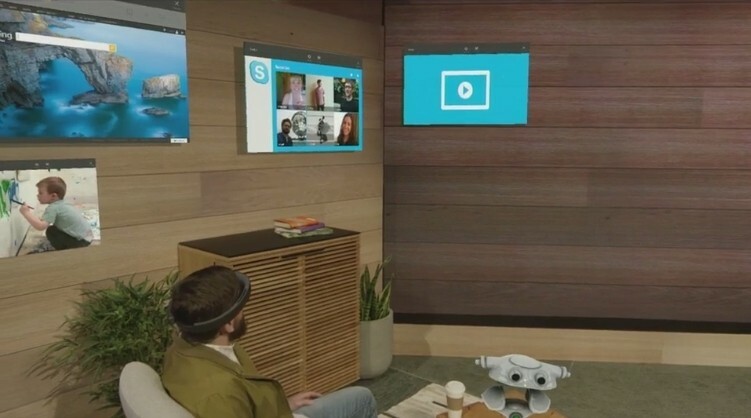 Microsoft provided an update to HoloLens, its holographic project first shown off in January. The platform has come a long way in just a few short months and looked nothing short of spectacular during its demonstration. With help from a few assistants, Joe Belfiore demonstrated three different scenarios. In the first, we saw a living room outfitted with a holographic weather app and apps like Skype and a video player mounted virtually on the wall. As the presenter moved, the resizable video app followed him. 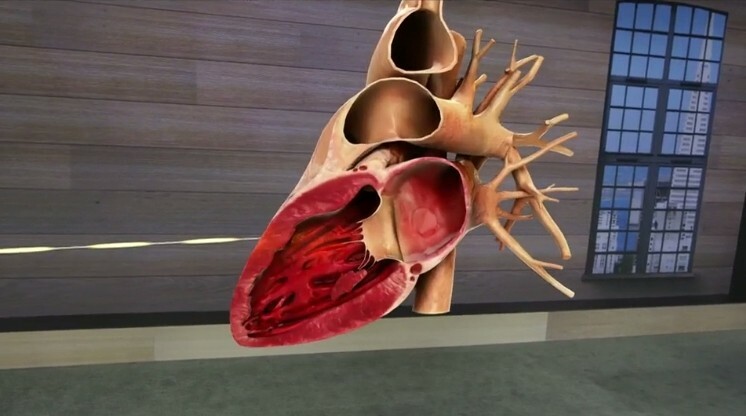 In a second example, we got to see how HoloLens can be used in the medical field. The demo showed a student interactively learning about the human body (specifically, a fractured leg). Then, we’re taken inside the human heart in a demo showing how medical students can learn to perform operations without having to pick up a scalpel. 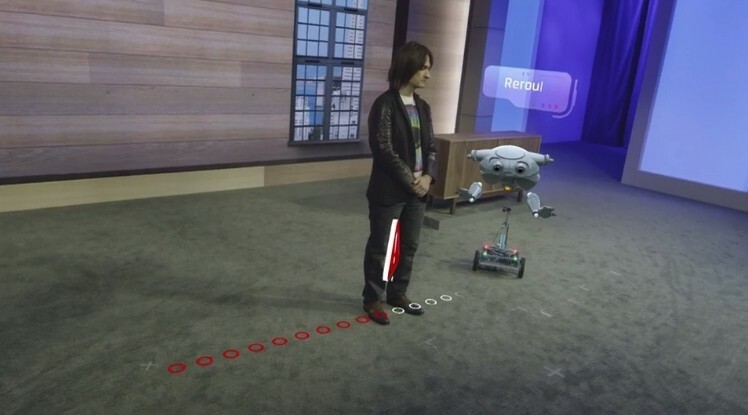 Finally, Microsoft brought a small robot out on stage. 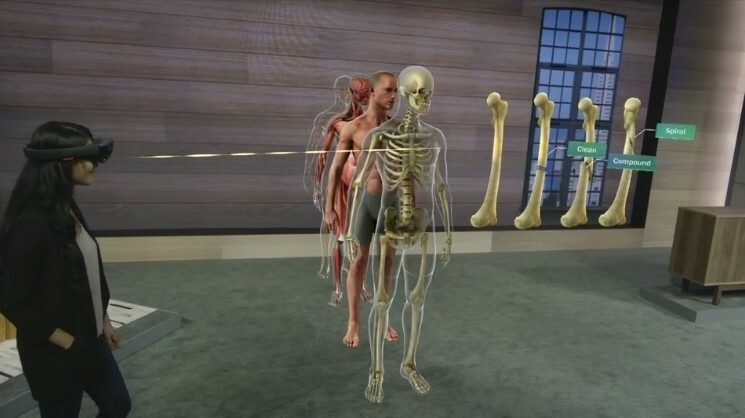 Using HoloLens, the wearer was able to overlay a virtual robot over the smaller physical one. The demo team showed how this could be useful for industrial robots when it comes to navigation within a warehouse. Pathfinding Mode was used to visualize the robot’s path and when Belfiore stepped in its way, the robot updated its route to go around him. Microsoft said everyone in attendance at Build would have the opportunity to try out HoloLens but provided no timeline as to when it might be ready for a consumer release. Incredible stuff, it's an exciting time to be a nerd. Awesome stuff!!! It was Alex Kipman, not Belfiore, though. Everybody is so quick to forget all their previous shenanigans. Remember they tried to mandate an always on always watching kinect with their xbox;, and the patents revealing just why this was (specificaly: digital content restriction methods to spy on the people in the room and put restrictions on the media you 'consume'). **** that one eyed Google Glass! This is where the future is at! Very cool. When can I haz it? ?